sweet, send me the background please. Nice. I like the start menu . yaho tari axo berengi degas. any chance of getting the wallpaper too? Awsome skin this is the type I love. this looks similar to Hydrolic, keep up the outstanding work. awfully beautiful ! Well done ! Great ! great skin, keep up the great work. 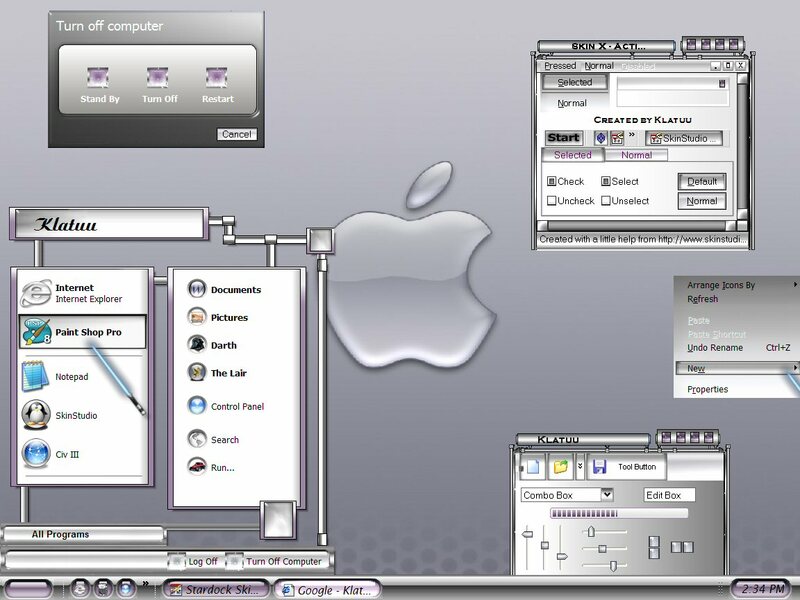 Was curious to know why no one has ever made a transparent windowblinds like the Mac OS objectbar. That would be nice. Great job! Been using the 'Blind now for three days---just about a record for me. Icy, glassy and beautiful, wonderful skin Klatuu.